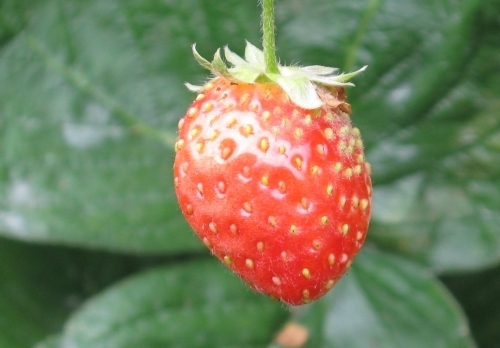 Strawberries and tomatoes can be very disappointing when bought from a supermarket. 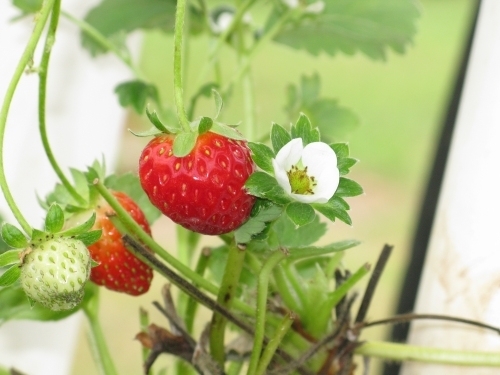 There, tomatoes can be pale orange and watery, and a punnet of strawberries is a lucky dip, it can either be under-ripe or already squishy and moulding by the time you get them home. 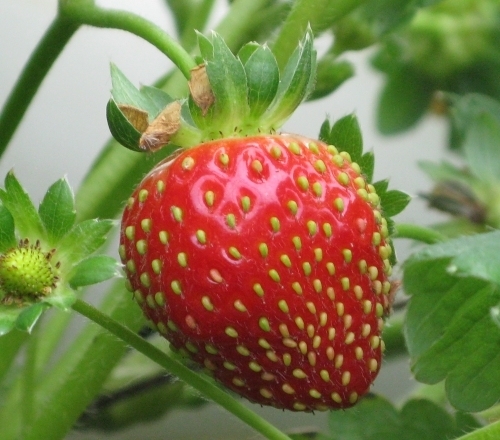 When strawberries and tomatoes are bright red and ripe, with a warm rich fragrance they are absolutely wonderful. 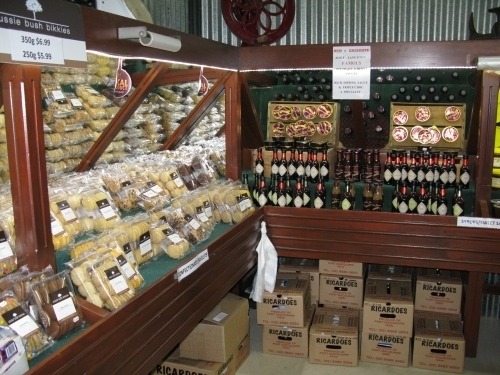 And when bought fresh from the farm at places like Ricardoes Tomatoes and U-Pick Strawberry Farm, they are absolute gems. 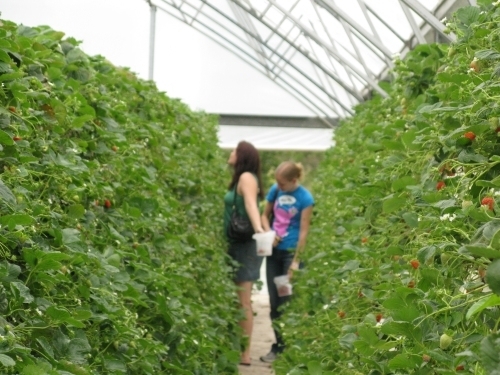 Already established as one of Port Macquarie's best tourist attractions, Ricardoes drawcard is the simple pleasure of picking your own fresh, plump strawberries, selecting the biggest and ripest ones from healthy hydroponic plants. 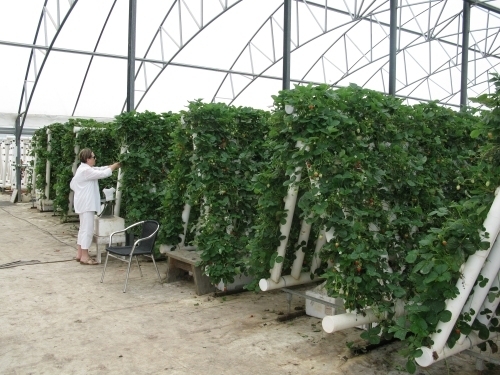 Armed with a plastic bucket and a pair of scissors, you make your way to the large greenhouse, where large, PVC piping A-Frames covered with thousands of plants create narrow walkways from ankle to above head height. The air is warm and has the rich scent of ripe berries. From experience, the best ones are found either low down, or up the very top and tucked behind a leaf where they are out of the reach of little kids. 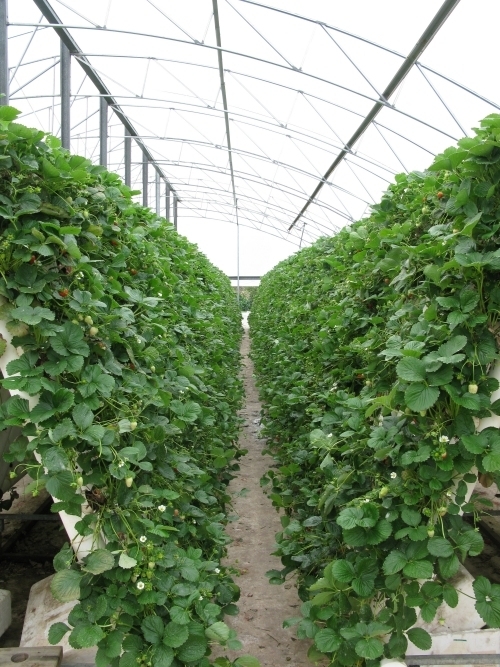 Row upon row of hydroponic strawberries. There is no entrance fee... Strawberries are weighed once picked and charged by the kilo, so on a busy day when the pickings are slim you don't feel like you are put out. An honour system should stop you eating as you pick. 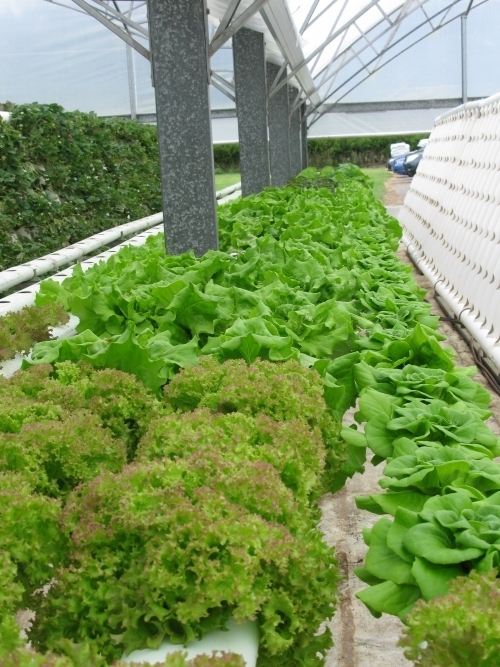 Ricardoes has also recently introduced pick-your-own lettuce. The Coral, Butterhead, Cos and Oakleaf lettuce are all huge and very fresh. 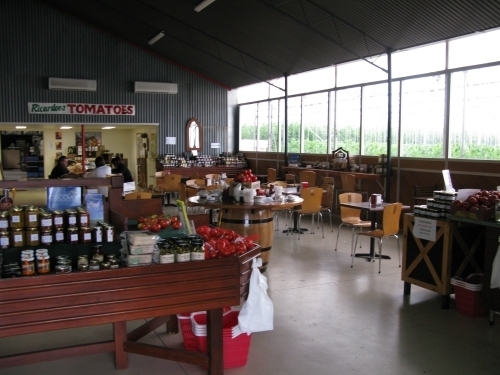 Back in the main shed, there is a café with views of their impressive hydroponic tomato set up. 8 varieties of tomatoes are for sale including the show winning Flavorama, as well as favourites Roma and Cherry. 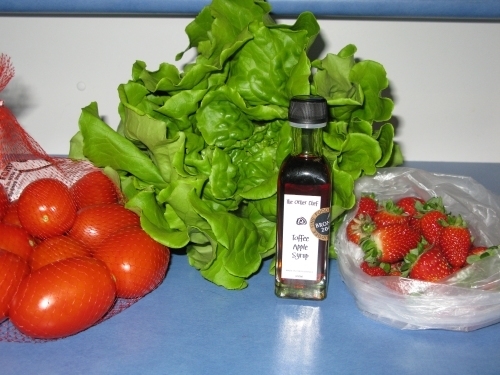 My haul: 1kg bag of Roma tomatoes ($4.50/kg), ½kg of freshly picked strawberries ($15/kg), 1 large freshly picked butterhead lettuce ($2.50 each) and 1 bottle of "The Other Chef" Toffee Apple Syrup ($9). 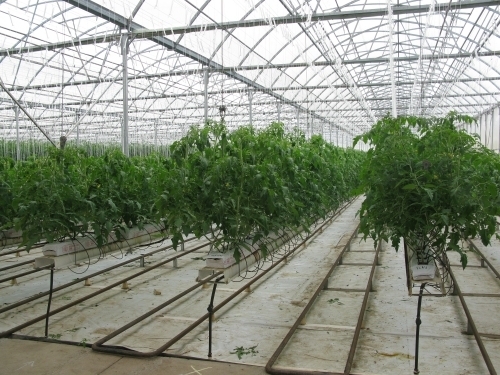 i have a question: my ground is about 4000 m2, and i decide build 1000m2 greenhouse for start, is it economic?